Captain America turned out to be a true believer of Hydra ideals and siege control from within as he planned out! Running S.H.I.E.L.D. these days, Captain America sends Captain Marvel leading Alpha Flight alongside Guardians of the Galaxy on space to hold a line of defense when a huge Chitauri Wave shows up. From Helicarrier bridge, Steve sends Ironheart and Iron Man to work up a Planetary Defense Shield that was taken down earlier by a Hydra bomber. In the mean time, a group of super-villain attacks New York who was all former prisoners of Pleasant Hill and The Defenders were sent to take care of them. Hyperion and Quasar goes down while Nitro explodes in the middle of Manhattan. Announcing a state of emergency, Secretary of Defense made Steve Rogers command of national security. The Shield suddenly goes back operational and cavalry arrive at New York as Avengers Unity Division, causing the villains flee. Before they could celebrate this victory, Commander Sharon Carter receives transmission of a collision with another Helicarrier and within moments they are under attack by Hydra goons under control of Doctor Faustus. Cap then steps up telling everyone to hold their fire and the Hydra agents hail him as their Supreme Leader before taking Sharon into custody, who is baffled to learn that Steve was a traitor. Carol tries to communicate about opening a portal to Earth but Rogers made it clear that he want them occupied behind the shield with Chitauri waves. Before being ambushed, Tony Stark A.I. eventually figured out the Chitauri invasion was a ploy to lure out the heavy hitters off Earth and the shield was never down. As Baron Zemo engulfs the island of Manhattan in a Darkforce dome using Blackout's powers, Iron Man sends out a distress call for heroes to assemble and Hydra takes over White House. In a new world order established by the evil empire, Inhumans are being forced to register and all mutants moved to New Tian. From his internment, Rick Jones passes a data to reveal the truth about Hydra Cap through a young hacker named Rayshaun Lucas to Ms. Marvel, Spider-Man, Totally Awesome Hulk and Viv Vision of the Champions. 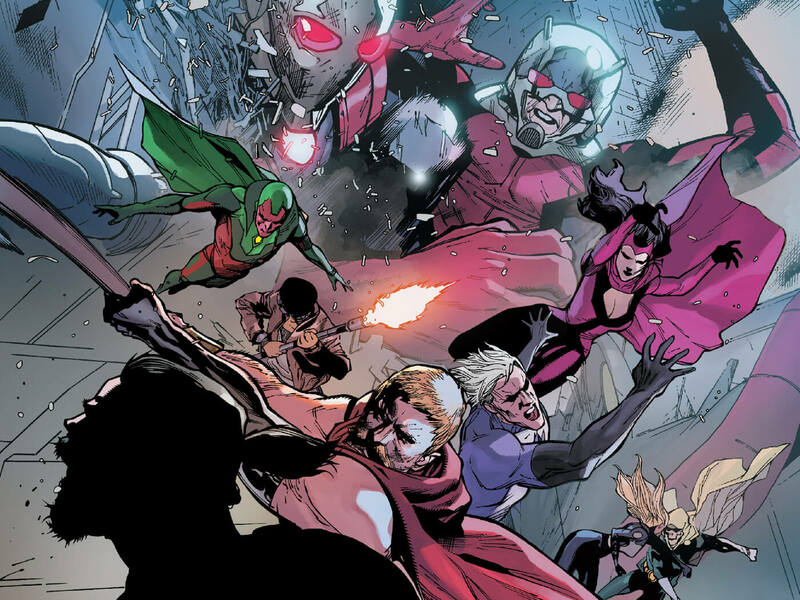 Resistance against the regime is formed by Ant-Man, Black Widow, Giant-Man, Hawkeye, Hercules, Quicksilver, Rescue, Stingray, Thing, Tigra and Wonder Man. 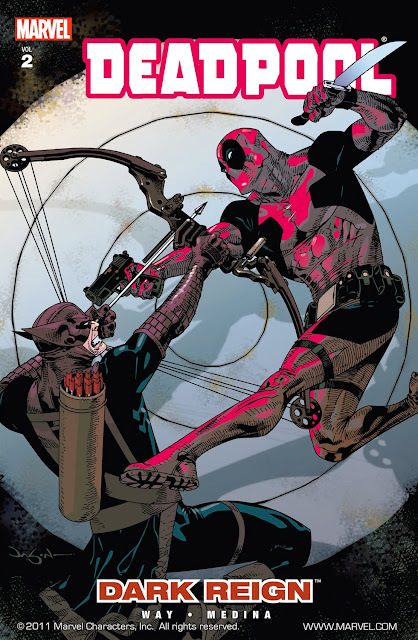 Cap has been leading a Hydra' version of The Avengers with Black Ant, Deadpool, Odinson, Scarlet Witch, Superior Octopus, Taskmaster and Vision to ruthlessly deal with any threats. Neither Rick, nor Sharon agrees to swear loyalty to Hydra and when Rick is sentenced to death by a firing squad to make a statement, he dies saying "Avengers Assemble". Meanwhile, Steve reunites with Madame Hydra to acquire the Cosmic Cube and rewrite history of World War II. They then raze the entire city of Las Vegas with their Helicarriers. Upon analyzing info sent by Rick, Tony came to conclusion on how the sentient Cosmic Cube named Kobik has altered Cap while saving him during "Standoff" fiasco after she was befriended with Johann Shmidt AKA Red Skull. Steve became a perfect soldier to Hydra, who then overthrew Shmidt to complete his own plan to rule the world. So, he tried for Winter Soldier to join Hydra and his refusal led Zemo to launch a drone plane with Bucky in it. Kobik was shattered into fragments that got scattered in places and finding all of the pieces is the only way to turn things around as they once were. Cap is also actively looking for the Cube to reshape reality as he see fit in Hydra's image. 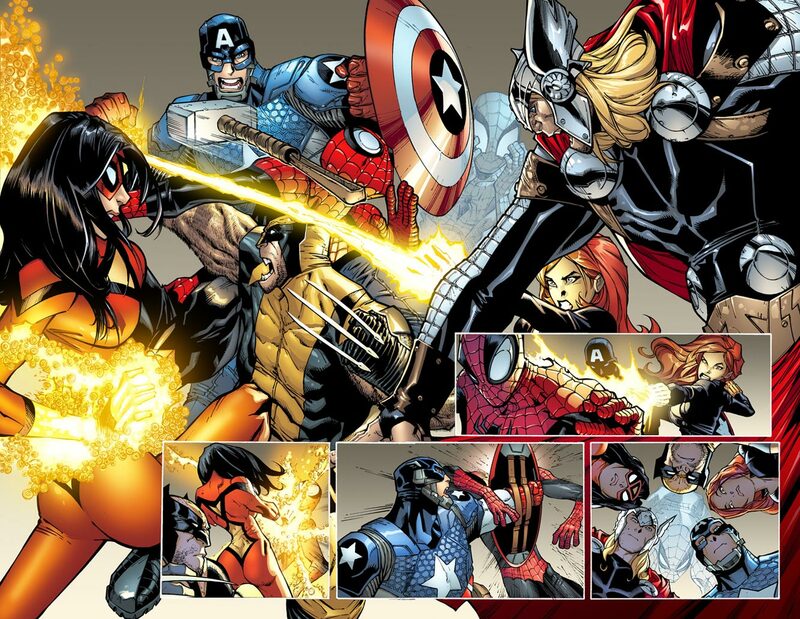 Natasha Romanoff takes it upon herself to kill off the evil Cap and the Champions tagged along to her help. Ant-Man, Hercules, Mockingbird and Quicksilver volunteered to go and retrieve all the Cube fragments with Tony and Falcon agreed to help them cross the border. However, he ended up taking his old mantle of Captain America once again. Things started escalating as they show up at the doorstep of Ultron, now wearing the skin of Henry Pym. In the mean time, Hydra Cap struck treaty with enlists The Punisher as his enforcer and brings back The Incredible Hulk back from dead. All of these led to a grand showdown when the X-Men showed up right before an unexpected revelation. For more information on Secret Empire event, you can check out these links below. Here is your links to buy "Secret Empire" from Marvel Comics in issues on Amazon. 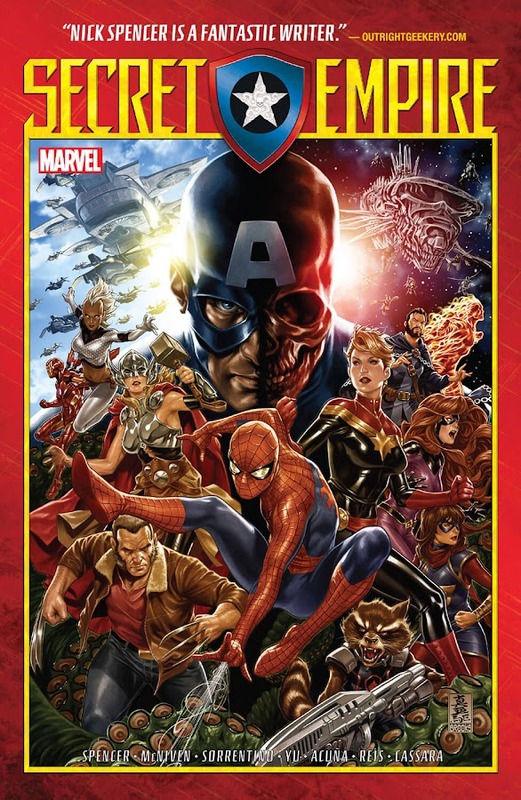 Here is your links to buy "Secret Empire" from Marvel Comics on Amazon. 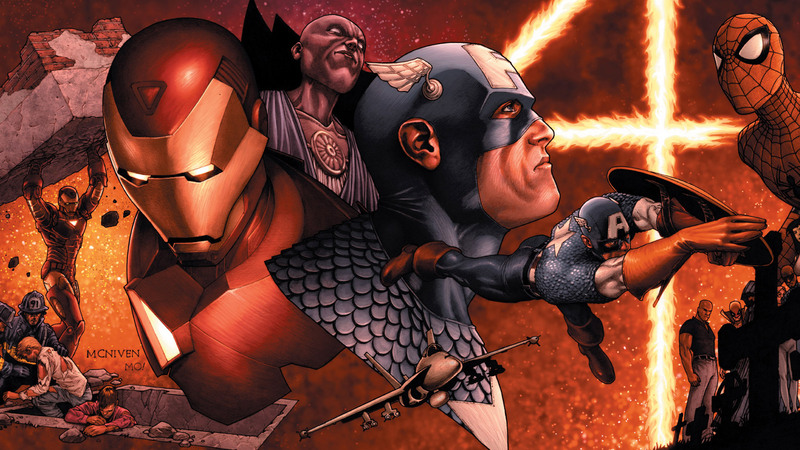 In 2017, Marvel Comics hired writer Nick Spencer (Ant-Man – Second-Chance Man, Doctor Strange – Damnation) and illustrator Daniel Acuna (Uncanny Avengers – Avenge The Earth, Uncanny Avengers – Counter-Evolutionary) to conceive the plot for "Secret Empire" crossover event, which is collected in a limited series that ran for eleven issues. Then there were a group of artists David Marquez (Defenders – Diamonds Are Forever, Defenders – Kingpins of New York), Leinil Francis Yu (Operation – Zero Tolerance, X-Men – The Hunt for Xavier), Paco Medina (New X-Men – Mercury Falling, New X-Men – Nimrod) and Steve McNiven (Civil War, Death of Wolverine) to fill in for some extra. 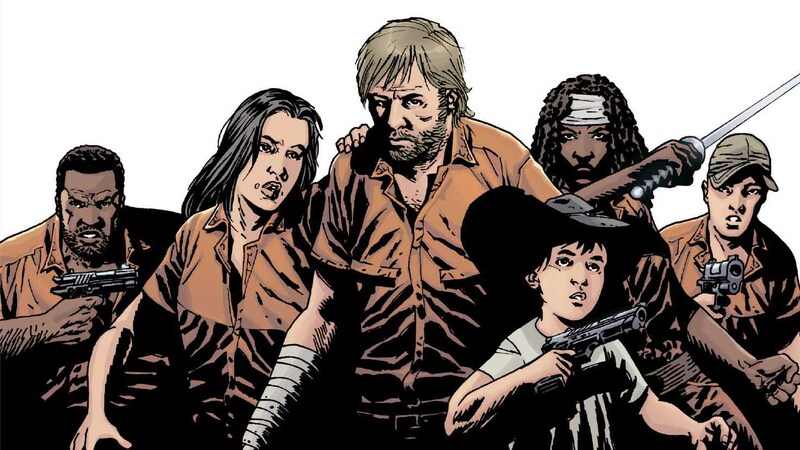 Pages that are drawn by artist Andrea Sorrentino were the literal down point of the entire story as some of the characters were completely unrecognizable from their appearance. Artist Rod Reis on the other hand, did quite fine compared to the former. Following the events of "Time Runs Out" and "Secret Wars", everything was restored and Steve Rogers came back to existence alongside many others. 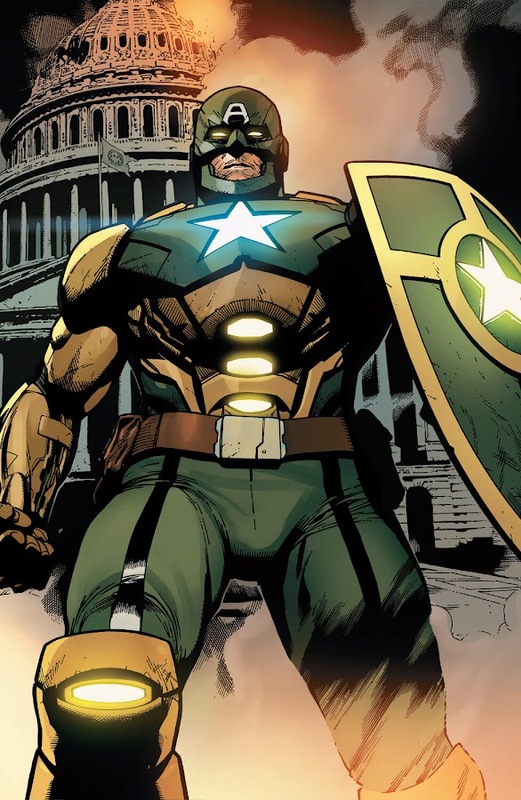 When trying to save his life after an attack from Crossbones, sentient Cosmic Cube Kobik actually created a new version of Captain America that was loyal to Hydra and the real one became a memory. Turning Captain America into a fascist and altering reality to let Hydra assume control was a bold move by Marvel though, or maybe rather stupid one. Bringing Hank Pym/Ultron hybrid into the mix as well as the deceased Green Goliath was unnecessary. Turning Frank Castle into an agent of the uprising evil empire was also really uncalled for. Previously, Dos Sols cartel of Los Angeles and their associate Electro were single handedly taken down by Punisher but he ended up taking a bullet from the Howling Commandos. 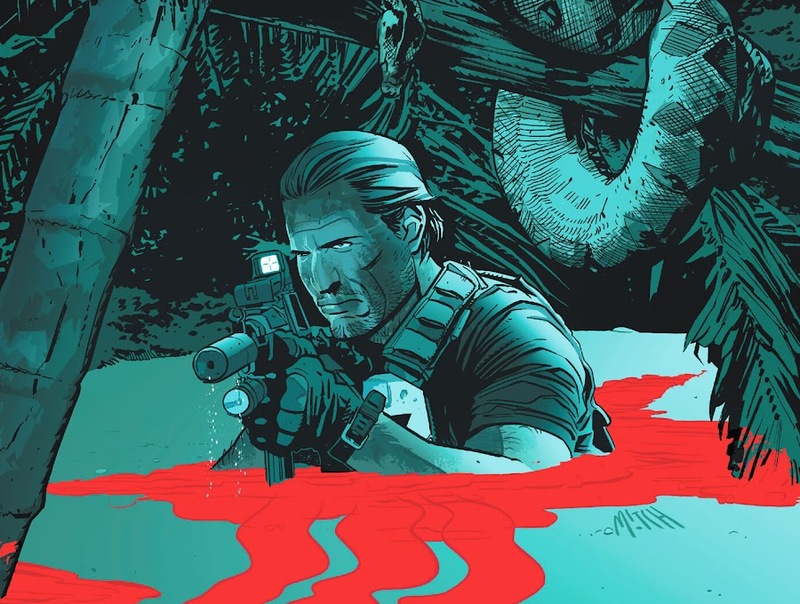 Frank Castle manages to escape death and now he's heading towards Mexico to avoid detection. He seeks the aid of a surgeon who sold him out to a Central American drug lord "El Diablito" Ortiz after patching him up. They lock him up with another American operative and Ortiz made a deal with Crossbones to hand over Punisher. By the time Brock Rumlow came to pick him up, Frank already freed himself and made a run for it as his fellow prisoner call an airstrike on Ortiz's stronghold. After some heavy shooting, Frank agrees to come willingly in exchange for sparing the life of his partner. En route, Crossbones made a stop on an abandoned oil tanker on order, where Frank made his escape and took down many of his goons. He discovers Black Widow on the same ship, already took out Rumlow. Natasha dropped Frank in a Costa Rican prison where he starts a riot to find a man named "Ruiz" for information. Meanwhile, Del Sol's brother Hector Del Sol returns to Los Angeles to take revenge on The Punisher and burn down the city. In absence of Frank Castle, L.A. has plunged into chaos. Frank's buddy Lou gets beaten and a now-discharged Sammy Stone took it upon herself to fight off L.A. goons. Frank returns Los Angeles to finish what he started and to lure him out; the Howling Commandos abducts his only remaining relatives but wishes that they didn't. 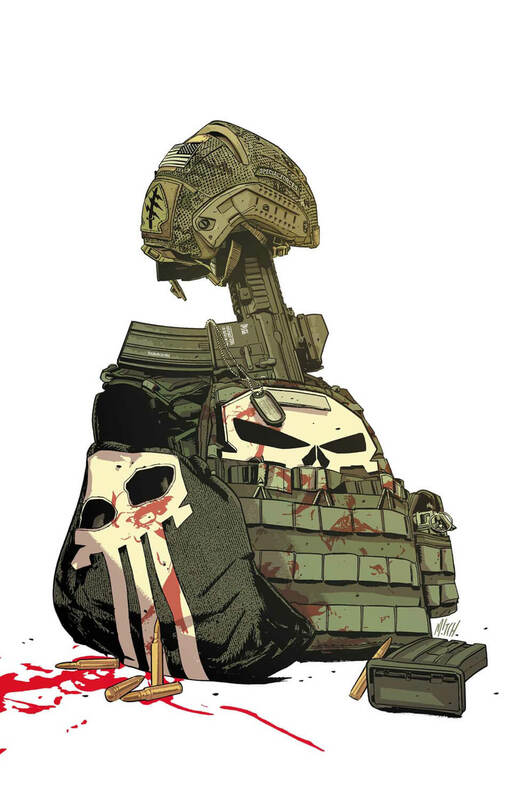 Here is your links for “Punisher – Border Crossing" storyline from Marvel Comics in issues. Here is your link for “Punisher – Border Crossing" storyline from Marvel Comics. No sooner had he taken down an organized drug cartel in L.A., Frank Castle has been forced to run away and then got captured by the worst. Marvel Comics brings writer Nathan Edmondson (Black Widow – The Finely Woven Thread, Black Widow – The Tightly Tangled Web) and artist Mitch Gerads (Punisher – Black and White, Punisher – Last Days) on board to continue their explosive run on Punisher in "Border Crossing" storyline on 2015. Avenger member Black Widow and Hydra goon Crossbones have their cameo appearance in the story to make things more interesting. 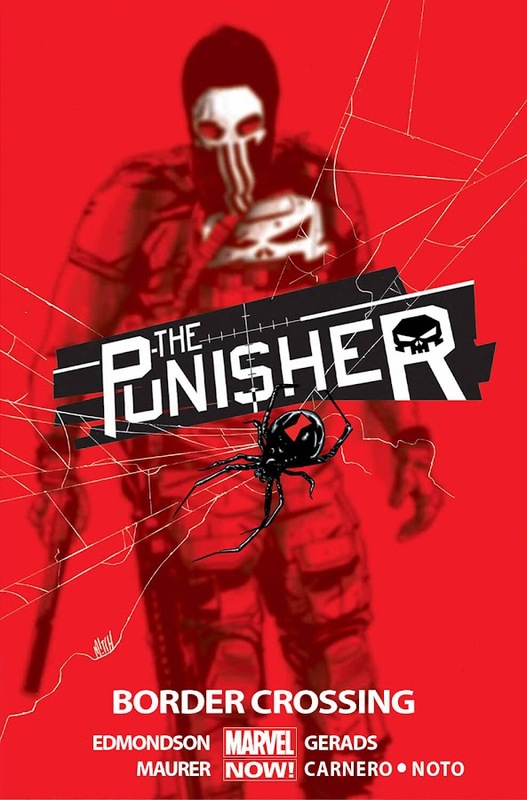 The arc is collected within the issues #07-12 of the ninth ongoing monthly volume of Punisher comic series and issue #09 from the fifth ongoing series of Black Widow, before the events of "Time Runs Out" and "Secret Wars". Octavious has now established himself in Peter Parker’s body after Peter had died in his old body (Dying Wish). 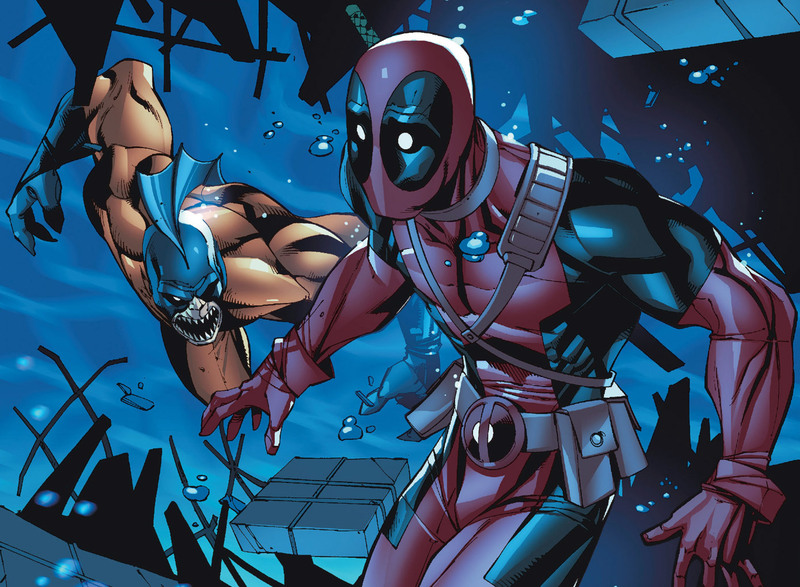 As Superior Spider-Man, Octavious is acting in his own ways and viewpoints. As a result, he became more practical with any given situation and that makes him quite unfriendly. Currently, Spidey’s rogues gallery of villains are paying the painful price of the new-found attitude of their rival. The criminal mercenary Massacre has paid the ultimate price (My Own Worst Enemy) before and the duo of Jester and Screwball are bruised and battered by him recently for their pranks on him meant for some exclusive head-cam footage. Meanwhile, a portion of Peter Parker’s consciousness seemed yet to have remained along with Otto Octavious himself in his body. Peter subsequently tries to stop Otto, whenever he overwhelms a villain or goes way too far. He fights to gain control over his body again and while Octavious was in sleep, he managed to slightly move his right hand. The Avengers also detected abnormalities in his behavior and threatens to kick him out of the team, leading him to a brief skirmish with Captain America. They knocked him up and ran a few tests on him that proves that he is not a Skrull or a shape-shifter. Octavious also detects these abnormalities in his mind when he tangled with Dr. Elias Wirtham AKA Cardiac and battles in his mind to decide who is worthy to be Spider-Man between him and Peter. With all the craziness going around, the Green Goblin assembles a new empire to which he is the Goblin King! 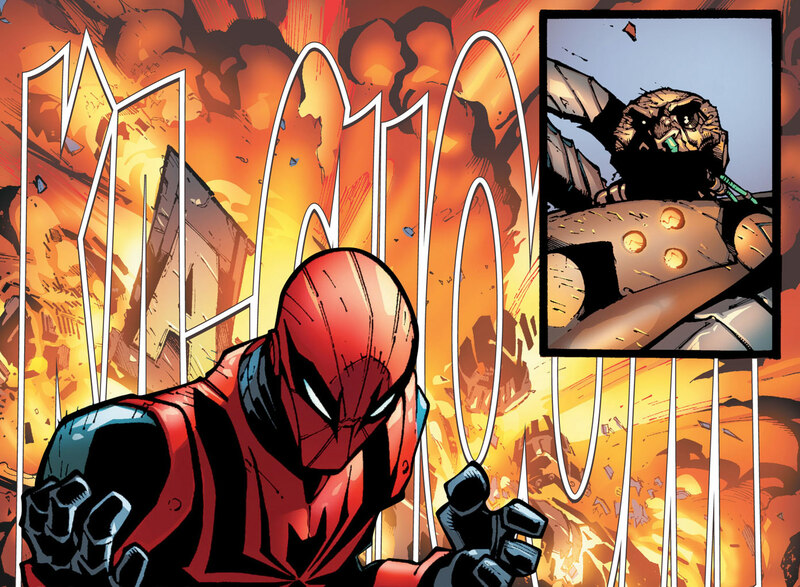 Here is your links for “Superior Spider-Man – A Troubled Mind" storyline from Marvel Comics in issues. 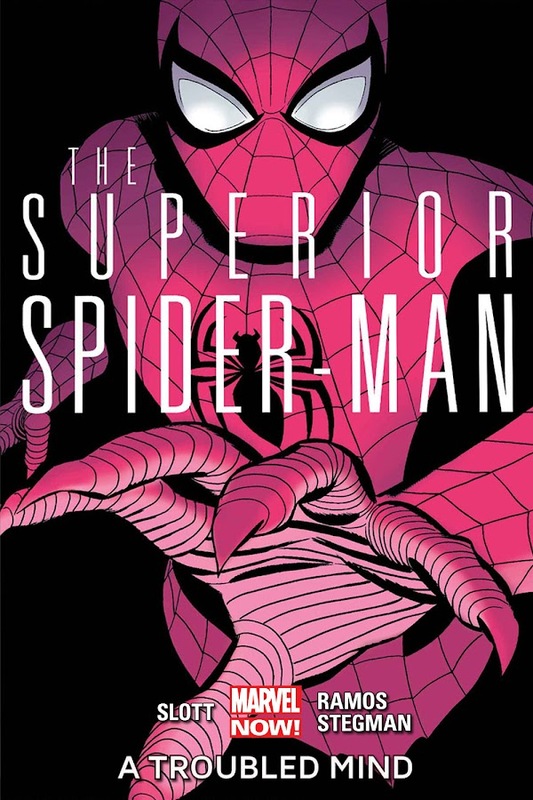 Here is your link for “Superior Spider-Man – A Troubled Mind" storyline from Marvel Comics. 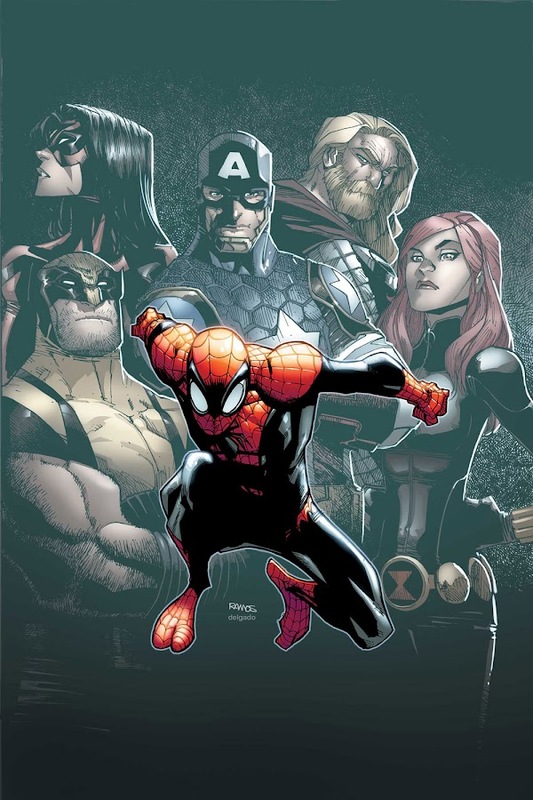 A new change has come to the entire Marvel Universe after the “Dying Wish” storyline from the Amazing Spider-Man monthly comic series back in 2012 that has launched the Superior Spider-Man as a new monthly ongoing title in the place of the former one. Writer Dan Slott (Mighty Avengers, She-Hulk) along with artist Humberto Ramos (Crimson, Revelations) and Ryan Stegman (Scarlet Spider, Wolverine) has cooked up this storyline pretty good which ran from issue #06-10 of the Superior Spider-Man series in 2013. The timeline then continues with the “No Escape” tale from the same series and eventually leads to the “Goblin Nation” crossover event. A long time villain for Spider-Man, Doctor Octopus has fought numerous times in his long crime fighting career. Over years, he got beaten hard by the wall crawler, as well as Captain America, Daredevil, Ultron and many others. Moreover, he is getting old and those injuries of battles are slowly killing him as he is just a mere human with a genius mind and four cybernetic arms. Octavious attempts to capture the newborn son that Menace gave birth of, believing it to be the offspring of Norman Osborn (in "Origin of the Species"). He thinks that the baby might be a source of the cure he desperately needs but looses interest upon learning that Harry Osborn is the father of the child. He even approached Tony Stark for help with no luck as well (in Invincible Iron Man – Unfixable). So, he decides to be remembered even after his death and reforms his team of Sinister Six again with Chameleon, Electro, Mysterio, Rhino and Sandman along with himself as the leader of the team for one last time. 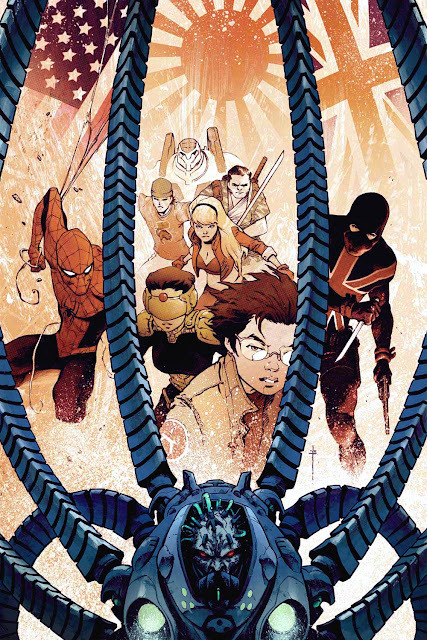 First up, he and his goons invade Baxter Building where Spider-Man and Future Foundation engaged them while Octavious plans to steal one of Reed Richard's inventions for his plan. Then Avengers Academy is attacked next and Intelligencia is defeated by the Six with no one else out there to conquer the world. Doctor Octavious actually plans to simply burn everything on Earth with his “Octavian Lens”, while his Sinister Six is busy fighting with Spidey and The Avengers. For more information on Spider-Man – Ends of the Earth storyline, you can check out these links below. Here is your links to buy "Spider-Man – Ends of the Earth" from Marvel Comics in issues on Amazon. Here is your links to buy "Spider-Man – Ends of the Earth" from Marvel Comics on Amazon. 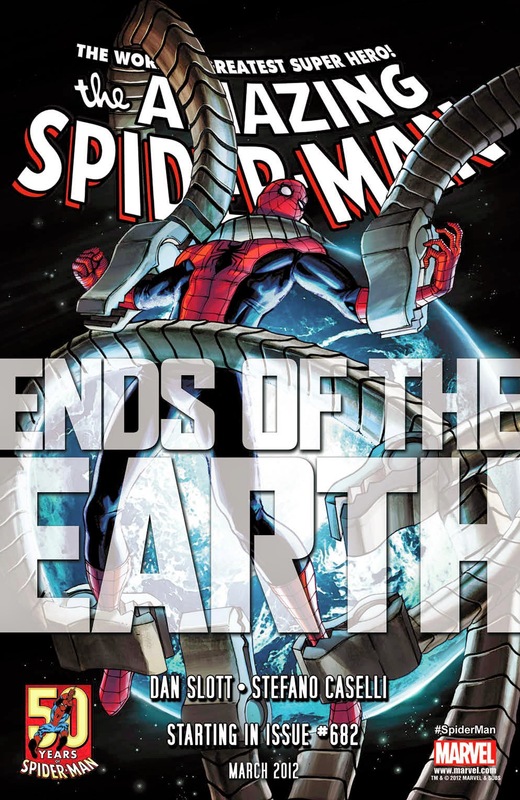 “Ends of the Earth” is a six part storyline from the first monthly ongoing volume of Amazing Spider-Man, followed by the events of “Spider Island” crossover. 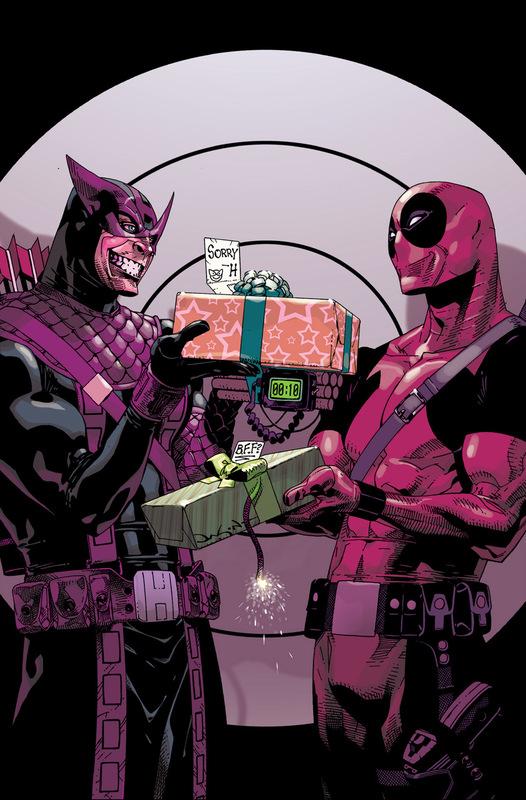 Plotted by writer Dan Slott (She-Hulk, Silver Surfer) and drawings by Stefano Caselli and Humberto Ramos (Crimson, Revelations), the storyline led to the conclusion of the long running monthly ongoing comic series with "Dying Wish" story arc. The story-arc ran from issue #682-687 from the monthly series with a tie-in one shot and is published by Marvel Comics in 2012. Doctor Strange and Doctor Doom also appears in the one part epilogue issue from Avenging Spider-Man series.